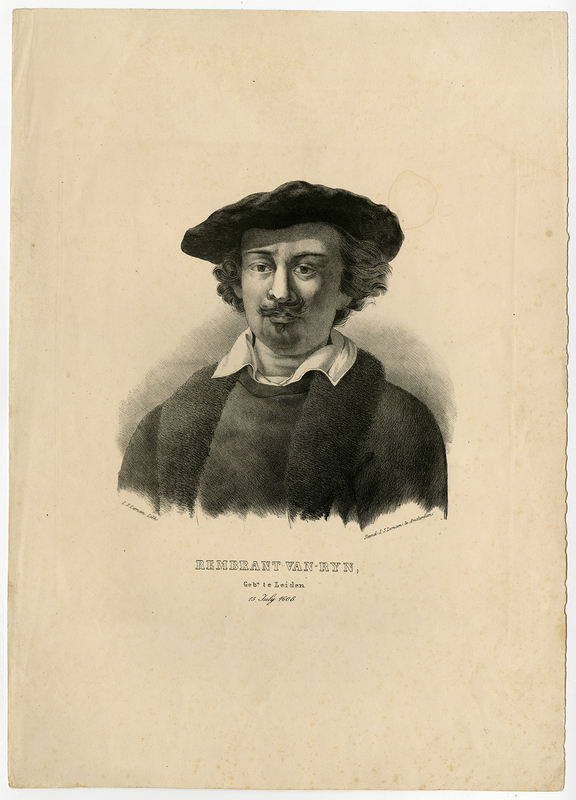 Subject: Antique Master Print, titled: 'Rembrant van-Ryn …' - Portrait of the artist Rembrandt van Rijn. Condition: Very good, given age. Ample margins. A faint dampstain in the top left of the image. General age-related toning and/or occasional minor defects from handling. Please study scan carefully. Size (in cm): The overall size is ca. 31 x 44 cm. The image size is ca. 31 x 44 cm. Size (in inch): The overall size is ca. 12.2 x 17.3 inch. The image size is ca. 12.2 x 17.3 inch. Artists and Engravers: Made by 'Louis Salomon Leman' after own design. Louis Salomon Leman (1818-1889) worked in The Hague and Amsterdam as a lithographer and publisher.